There were a few occasions where we had a chance to purchase a babka, but we didn't. Babkas weren't on any restaurant menus, so our only option would have been to buy an entire cake. We would have felt a little pathetic eating a whole cake alone in our hotel room. So, next time we're in New York, maybe you'll share a babka with us? Chocolate or cinnamon, we're not picky. Ha what a great post!! It made me laugh and now I want a black and white cookie! MMMM! I have always called them Half Moon cookies!! Whatever their names are, I am heading out to buy some - yumm! 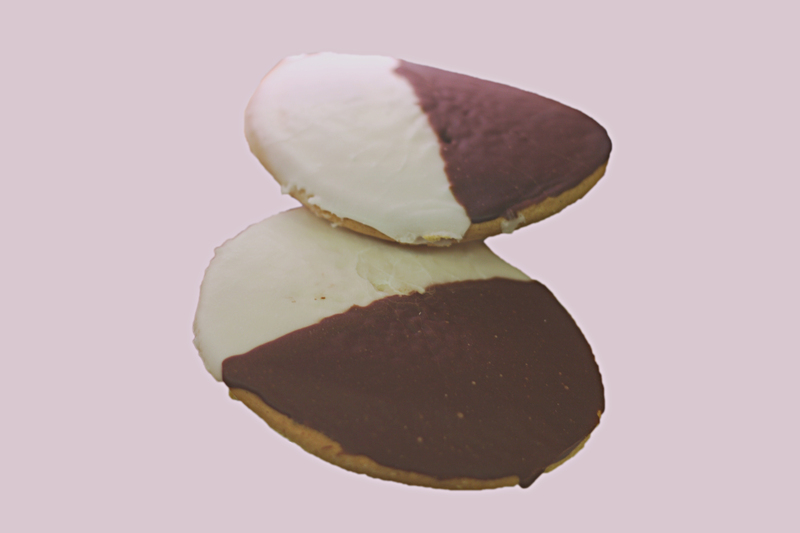 Black and White Cookies are one of the reasons I love New York so much!Love them!!! This made us laugh really hard. Thank you. p.s. I looked back at your Egypt trip and it reminds me so much of Tangier. Will you be going to Morocco any time soon? I would love to explore other parts. p.s.s. I really just want to go to Japan.